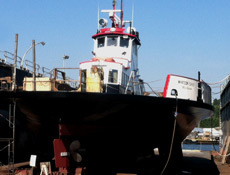 Tri-County Diesel Marine provides authorized sales service and parts for marine and industrial projects in the Bellingham, WA area and beyond. 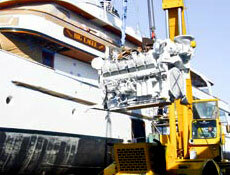 We specialize in top brands for marine engine propulsion and power generation as well as land-based power generation. With over 100 years of combined experience, no job is too big or too small for our friendly team of professionals. Whether it's light service in a sailboat or a complete overhaul of large commercial vessels, we have the experience and expertise to make it happen. While sailing to Alaska to begin its season of summer charters, the 174-foot yacht's giant starboard main propulsion engine (a Detroit 16V92 at 1000hp) began to show signs of serious damage. With an entire season of charters now cancelled and the fall season on the line, the decision was made to remove the failing engines and re-power with two Cummins QSK38 engines rated at 1400hp each. A grueling six-week timeline was agreed on and with teamwork, long hours and three days at sea, the vessel arrived in Los Cabos, Mexico one day ahead of schedule. The Tri-County crew was still leaving the vessel while the owners walked on. After 10 years and 60,000 hours, it was time to rejuvenate the main engines of the Lummi Island ferry. Working closely with Foss Maritime, a three-week timeline was established which included the additional work needed during haul out. The Tri-County team stripped the mains to the point they could be removed through an opening cut into the deck of the vessel. Foss's riggers removed the stripped engines and the process of "long blocking" began using as many Cat Reman components as possible to speed the process. Engines components were cleaned, inspected and reinstalled. Sea trials were performed and the vessel readied for service. Thanks to the cooperative effort, ahead of schedule.